FROM A JOKER TO A DREADFUL VILLAIN! 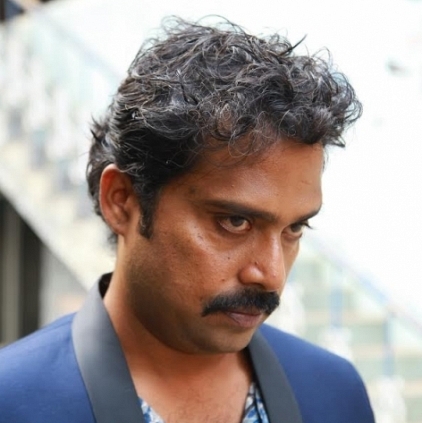 Guru Somasundaram was last seen in a brief role in Manikandan directorial Kuttrame Thandanai. He also made an impact with his striking performance as a lead in Joker which was widely appreciated. Now, for the first time, the Aaranya Kandam actor would be seen playing a baddie in Krishna's next flick Yaakkai. "If Joker was one pole of Guru Somasundaram, then Yaakkai will be another unseen pole. Yaakkai will portray him in a completely new and fresh avatar. It is our pleasure to have an actor like him on board. Apart from the other normal baddies, this villain character in Yaakkai will stand out. Creating a dreadful situation is the main quality of our villain and Guru Somasundaram has perfectly carved it. We are pretty sure that his villain role will add one more feather to his cap”, says Kulandai Velappan, the director of Yaakkai in a confident tone. Yaakkai features Krishna and Swathi in lead roles, while Guru Somasundaram will be playing the baddie. Yuvan Shankar Raja takes care of the music, whose first two singles from the film, 'Nee' sung by Yuvan, and 'Solli Tholaiyen Ma' sung by Dhanush have already become popular. Guess why this Bollywood diva visited Fatehpur dargah! Will Vikram recreate his Dhill and Saamy magic? Venkat Prabhu - Rajesh: The double dhamaka! People looking for online information on Guru Somasundaram, Krishna, Yaakkai will find this news story useful.